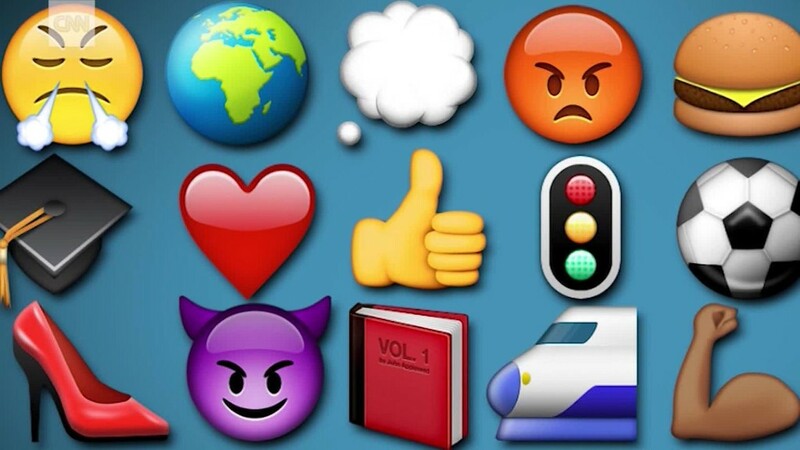 Just when you thought there's an emoji for everything, Apple is adding hundreds more. The tech giant announced on Friday that next week's iOS update will include more expressive smiley faces, gender-neutral options, mythical creatures, clothing, food and animals. 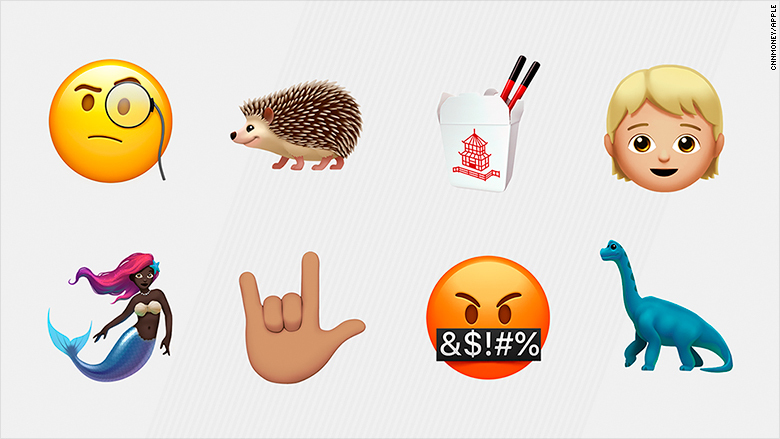 It previewed more than two dozen emoji that fit into these categories, including a hedgehog, a carton of Chinese takeout, a giraffe, fairy, dinosaur, broccoli, sled, a scarf and vampire. There's also a hand signing "I love you" and an angry emoji face with explicit characters blocking the mouth. The new emoji will appear in the developer and public beta previews of iOS 11.1. Apple (AAPL)said they will be more widely available in upcoming software updates for iOS, macOS and watchOS. 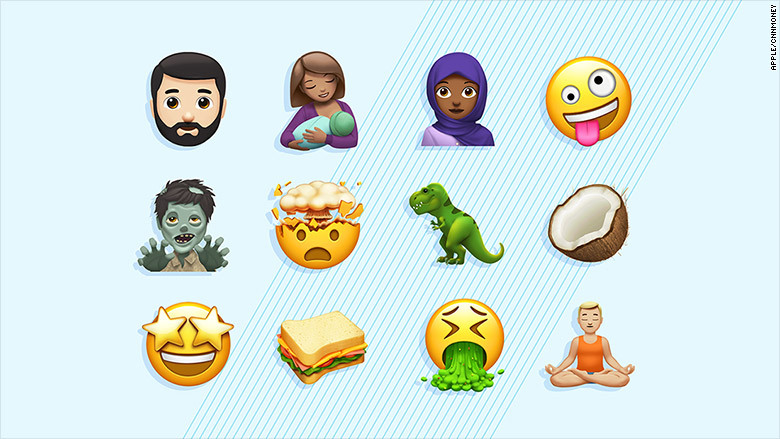 The update will also include the emoji announced on World Emoji Day earlier this year, such as a breastfeeding mom and a woman in a headscarf. Apple (AAPL) has stepped up efforts to include more diverse options, such as the new gender-neutral characters. It's also added more skin tones and country flags in recent updates. Apple isn't the only company trying to make emoji more inclusive. Earlier this year, Facebook (FB) released a slate of new family emoji with a range of skin tones and family makeups. The new emoji are Apple's interpretation of symbols approved this year by the Unicode Consortium, a nonprofit that sets the global standard for emoji and other software. Companies like Apple and Google create versions for their platforms based on the guidelines. That's why emoji look different on iPhones than on Android devices. Android has also recently redesigned its emoji and added new options like a T-Rex, orange heart and vomiting face. Its previous emoji were criticized for looking like blobs.